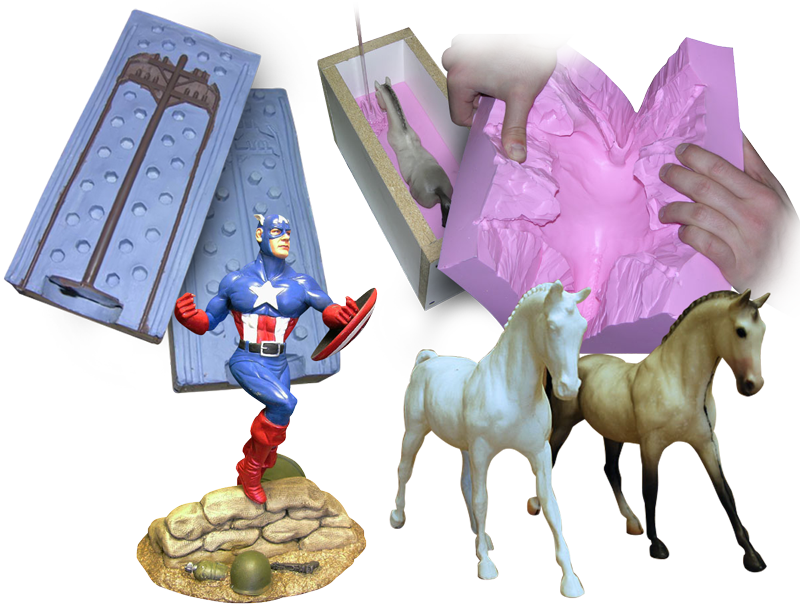 Model Making Tutorials by Smooth-On, Inc.
Model makers the world over know that Smooth-On silicone rubbers and liquid plastics as the perfect combination to reproduce their creations and drive production. Learn how to save material and money by making your silicone mold conform to the shape of your model. How you can replicate a tail light lens of any car using optically-clear resin. In this example, Equinox™ silicone putty is used to mold a section of an antique wooden picture frame. Mold making and casting gives model railroaders options for creating custom scenic display pieces. The Easiest Brushable Urethane To Mix! EZ~Mix® 40 is a liquid / liquid system, making it perfect for novice mold makers. This howto shows where to properly place air vents and also where to make your extraction cut line. This video demonstrates how to use XTC-3D epoxy coating to smooth and apply color to a 3D printed architectural model. Mold Max® 60 was developed for high-heat resistance applications. Smooth-On mold rubbers and casting resins can be used to recreate historic and modern firearms. A user can shrink a silicone rubber mold 18% - 22% by mixing NOVOCS silicone solvent with the silicone. Smooth-On fan Jon N. shows how he makes a mold for a real metal cold casting. We show how you can combine Glow Worm® powder with resin to create an amazing glowing pendant. This video demonstrates how to use Mold Star 20T to make a silicone mold of extruded PLA. In this video, we demonstrate how to properly thin XTC-3D for infusion of powder printed 3D pieces. A two-part mold is made of a flintlock pistol trigger guard using SORTA-Clear® 37 Silicone for the lost-wax process. A squish mold is ideal for thin-walled castings like a model car body.